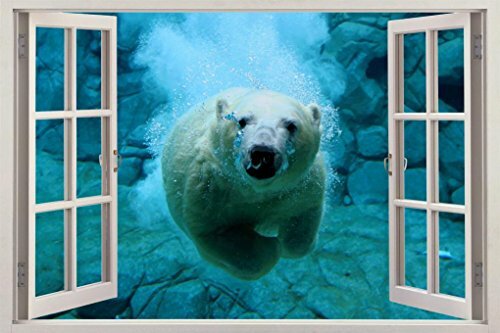 Polar Bear Underwater 3D Window View Decal WALL STICKER Decor Art Animals H100, Huge by Dizzy at Animal Backgrounds. MPN: H1003. Hurry! Limited time offer. Offer valid only while supplies last.